In the last few years, more and more players and visitors have grown interested in our ‘Cashed in Different Countries’ rankings, both the all-time and annual varieties. The pursuit became known as Flag Hunting on social media and that’s how #FlagHunting & #FlagHunter were born. From 2010 to 2017 the number of flags collected by the winner of this ranking was between 10 and 13 a year. Last year, 2018, however, was different. 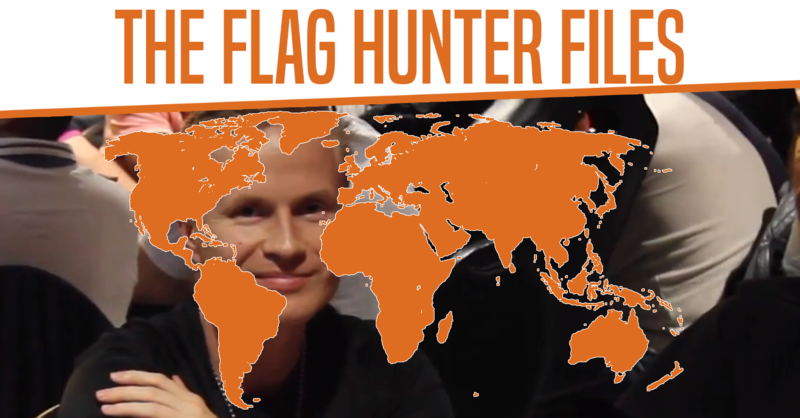 Henri Ovaska from Finland set his mind to winning this year’s Flag Hunter Leaderboard, and that he did – in fact he absolutely crushed it with cashes in 21 countries! Henri travelled the world, cashing event after event, adding flags from Europe, Africa and South America along the way. On the lifetime leaderboard, he’s now 6th, alongside legends like Marcel Luske and Dominik Nitsche, on 24 countries. Overall leader Miroslaw Klys still has a solid lead with 43 flags, but if anyone is up to the chase, it must be Henri Ovaska. Great news for all Flag Hunters out there: last week we’ve added the AJPC Samurai High Roller which will take place in the Northern Marina Islands, a brand new poker destination and a flag that nobody yet has on their profile! Did you know that besides the number of cashes in different countries, a.k.a Flag Hunters, The Hendon Mob also has a special ranking for Tournaments Won in Different Countries. Steve O’Dwyer is currently leading that ranking with wins in 15 different countries. Check out the map below to see where and what Steve won.